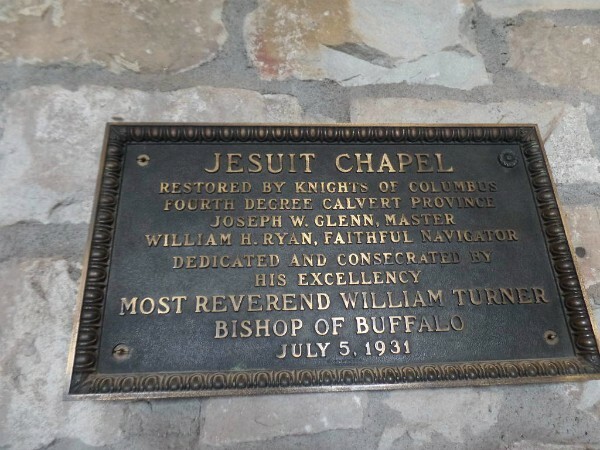 this chapel is within: Fort Niagara State Park, NY. i love history, and i enjoy reading about historical events or moments in our past and just seeing that the "Knights Of Columbus", had something to do with this chapel, is so awesome to me, wowza cool!! love it. i know a lot of folks talk about them, but it is a very hush hush organization. i will be soon sharing more photos from our trip to Fort Niagara, i did wish to share this section for "InSPIREd Sunday", enjoy! "The French began building on the site of Fort Niagara in 1679. The third building project on the site was the “French Castle” built in 1726-27. As you go up the stairs to the 2nd floor, on the left is the “Jesuit Chapel,” which may be the oldest military chapel in the United States (depending on the criteria used for assessment). 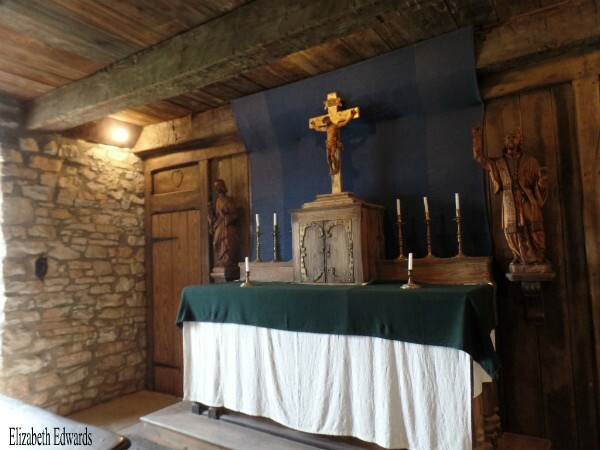 The inclusion of a chapel at the fort would have proceeded with little thought, since France was a Catholic country at the time and the majority of its Soldiers would have been devout Catholics, needing an appropriate place to celebrate Mass. 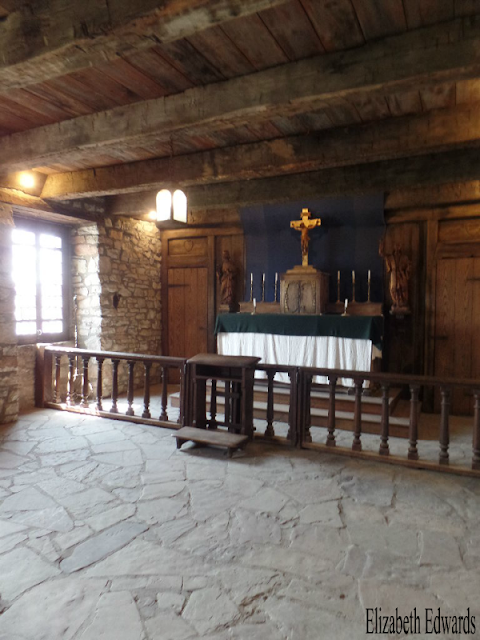 When in control of the British, the worship space would have been used for Anglican services, before returning to Catholic use again later in its history. But throughout the life of Old and New Fort Niagara, there has been a chapel available for the worship of God." ...I was just in Buffalo this week, another spot to put on my to see list! Thanks. I don't know much about the Jesuits. Going to look them up. Hello, the chapel and alter are pretty! Enjoy your and new week ahead! It looks warm and cozy! Its simplicity appeals to me.